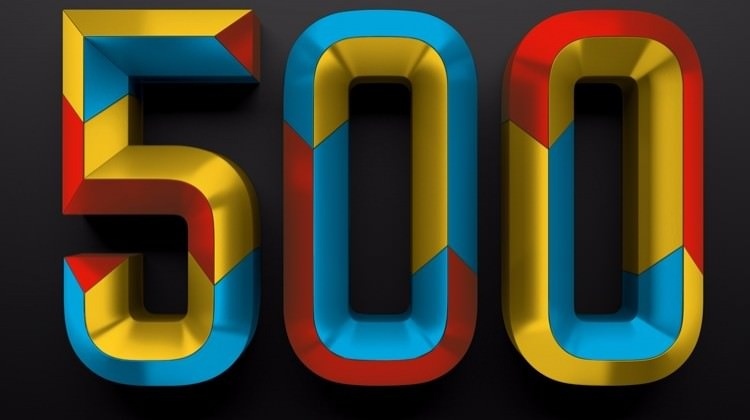 The Global 500, Fortune’s annual list of the largest companies in the world, is ranked by revenue in U.S. dollars. This year’s list is comprised of 500 corporations that are headquartered in 33 countries and represent 56 industries worldwide. In total, the Global 500 generated $27.6 trillion in revenues and $1.5 trillion in profits in 2015. Despite slowing economic growth in China, more Chinese companies have climbed onto the famed Fortune 500 list. A record 110 Chinese companies have squeezed onto the latest Fortune Global 500 list, 12 of which made their debut, including manufacturing powerhouse China Railway Rolling Stock Corp, e-commerce juggernaut JD.com, home appliance maker Midea and property developer Wanda. Experts said that it is not surprising for more Chinese companies to be listed, because of the country's relentless efforts to upgrade manufacturing, boost innovation and drive consumption. "We will see the continued rise of Chinese companies to capture that tremendous growth of the local economy," said Adam Xu, partner of Strategy&, which is PricewaterhouseCoopers' strategy consulting business. As more technology and commerce companies leverage and benefit from China's tremendous market potential in e-commerce, entertainment and real estate segments, they will make the Fortune Global 500 list, Xu added. Three of the top five companies on the list are from China. State Grid rose to second place from seventh last year, surpassing the State-owned energy giants China National Petroleum Corp and Sinopec Group. State Grid, generating $329.6 billion in sales last year, attributed its performance to successful investment strategies and research and development input. Among the 13 debut Fortune Global 500 companies from China, JD.com ranks at 366, with revenue reaching $28.85 billion last year. "It is not a surprise, given how quickly China e-commerce has been growing and how advanced China is for digital and mobile commerce," Xu said. JD.com positions itself as a self-managing e-commerce giant. Alibaba acts more like a service provider to numerous online shops, which is why Alibaba's revenue is not as huge as JD.com's. China Railway Rolling Stock Corp, which ranks 266, has grown into a leading global supplier of bullet trains and subway cars. It is widely expected that China will become the largest e-commerce and consumption market and will nurture a new consumer-centric ecosystem, Xu said. State-owned companies topped the Chinese companies on the list, because the ranking is based on the companies' revenue instead of their profitability, said Han Xiaoping, an independent energy analyst. "All State-owned energy enterprises are large enough to compete from a global perspective. But they are facing huge pressure when it comes to financial performance amid falling oil prices," he said. China Vanke debuted on the list at 356, with annual revenue of $29.33 billion, followed by real estate giants Dalian Wanda Group at 385 and Evergrande Real Estate Group at 496. Wanda, headed by China's richest man, Wang Jianlin, said after the list was released that this was the first time the conglomerate had registered for the Fortune Global 500, even though it could have secured a place before. Due to the global economic slowdown, the total profit made by all Fortune 500 companies was down 11.3 percent, year-on-year, at $1.5 trillion. The U.S. has both the most companies—with 134—and the most diverse mix of industries. China comes in second with 103 companies, some of which are state-owned, and is heavy in energy, utilities, and banks. In third place, Japan has 52 companies from the electronics, telecom, and automotive industries, followed closely by France with 29 companies and Germany with 28. See table below for this year's Top Ten Global 500 list.